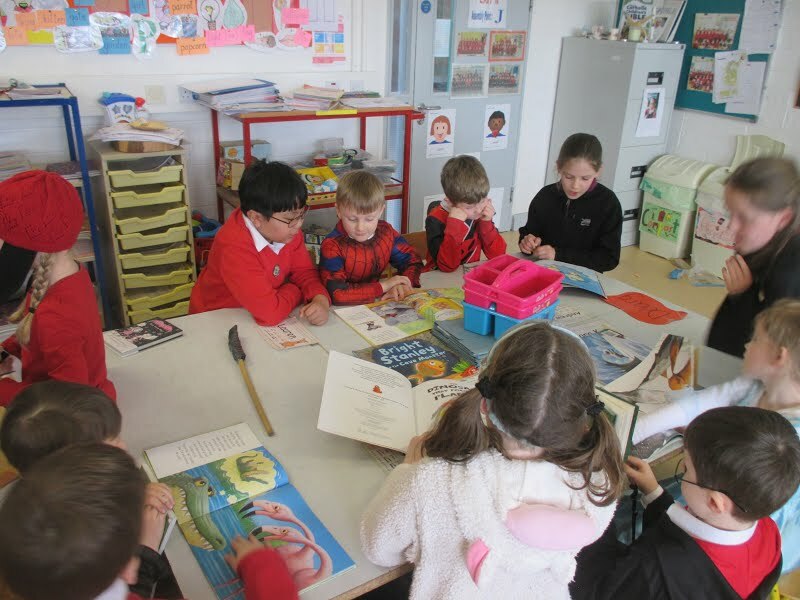 Here you can see the children of Múinteoir Áine’s Junior Infants and the children of Múinteoir Amy’s 3rd Class reading together. 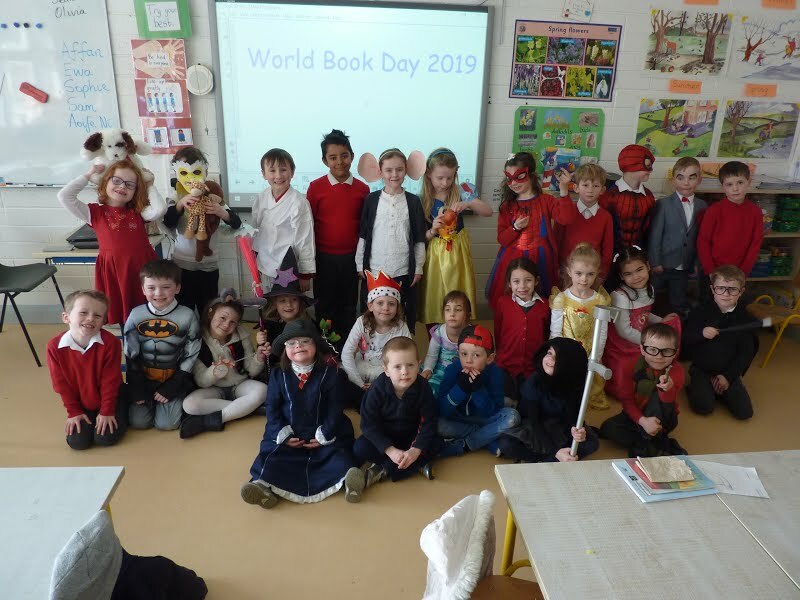 The children from Junior Infants brought in their favourite books and the children from 3rd Class read the books to them. 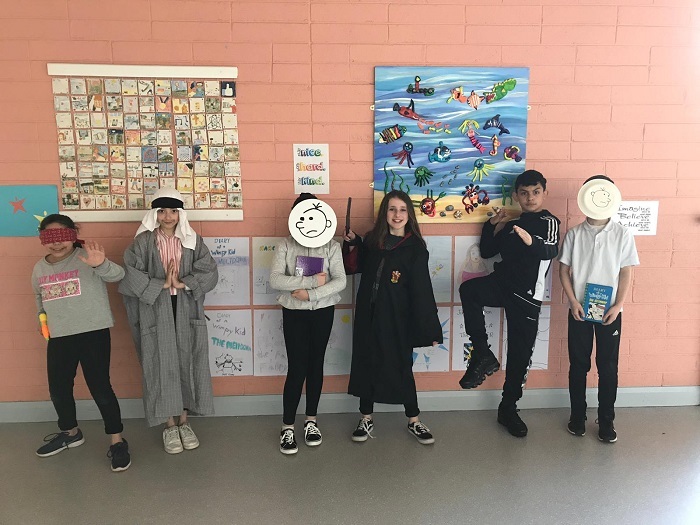 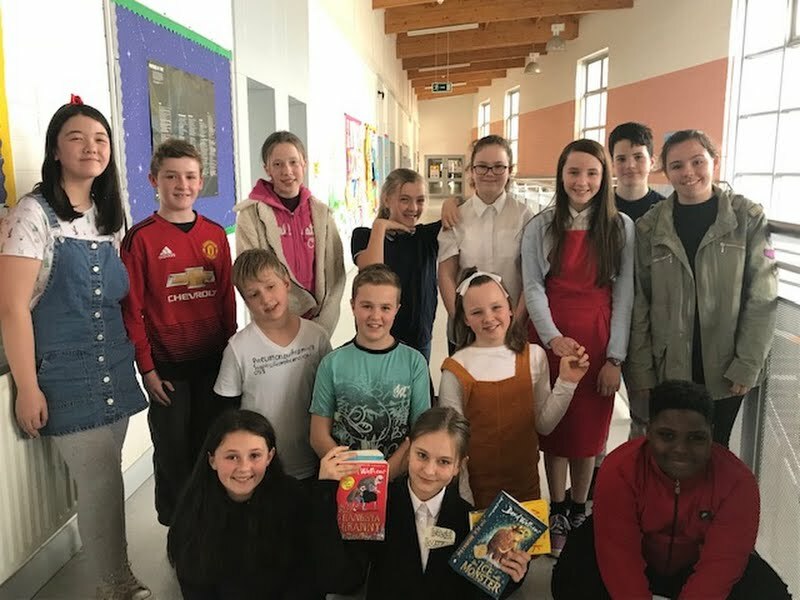 Here you can see children from Múinteoir Fiona’s Senior Infants and Múinteoir Gerard’s 6th Class dressed up as their favourite book characters. 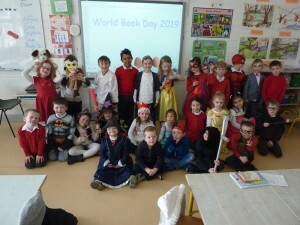 Click on the pictures for a closer look and see if you can tell who they’re all dressed up as! 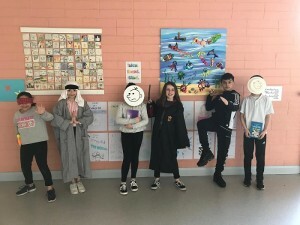 Check out the Christmas doors in Scoil Bhríde this year.